In Jerusalem’s Holocaust Memorial Museum, Yad VaShem, there is a section honouring the Righteous Gentiles/the Righteous Among The Nations. During World War II (WWII), it is known that almost twenty-four thousand non-Jewish people risked their lives in Nazi-occupied Europe to hide and save Jews from Hitler’s murderous Final Solution. Leopold/Poldek Socha was one such courageous individual. In a powerful but unflattering portrayal of Poldek, the Jews he saved, and the era, In Darkness commemorates the bravery of this unconventional hero. Poldek Socha (Robert Wieckiewicz) leads thirteen Jews through the caverns of the stinking sewers to find them a safe haven from their Nazi persecutors. 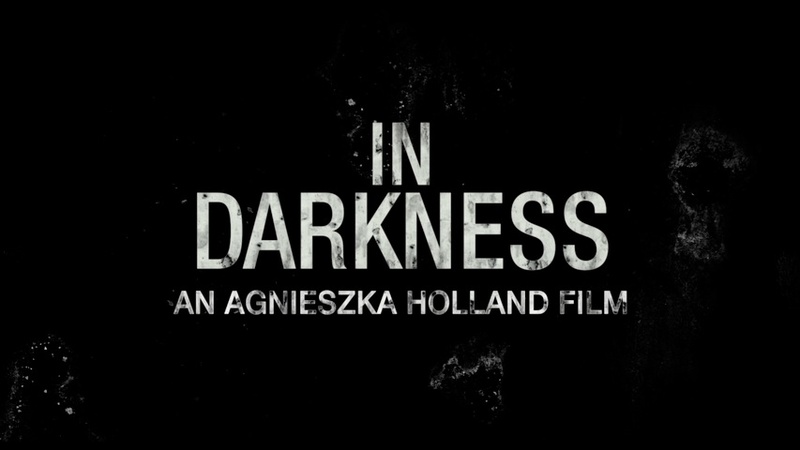 In Darkness is a low-budget Polish film that centres round Poldek Socha (Robert Wieckiewicz – The Dark House, Zero, Lech Walesa), a Polish sewer worker in Lvov. Using his extensive knowledge of the town’s sewer system, he hides thirteen Jews in the sewers just before the Lvov Ghetto is liquidated by the Nazis. For fourteen months, Poldek cares for his Jews. He brings them food and other essentials, until the Soviets liberate Lvov in July 1943, when he leads them to safety. The storyline for In Darkness is straightforward and well put together. At 145 minutes, the film might seem a little long and repetitive, but the distressing nature of the movie ensures that it is not tedious at all. The intensity of the Jew-hatred, the noise of rapid firing machine-guns and the sight of brutality against innocent people creates an intimidating atmosphere. Like tension in a string, one can feel the Jews’ fear of the Nazis and the local Polish population. The darkness of the sewers and the shaking of the camera enhance the film’s edginess by making the movie seem claustrophobic. At times, notably when Poldek moves the Jews from one excrement-running tunnel to another, the movie becomes almost unbearable to watch. Poldek's friend, Bortnik (Michal Zurawski). Bortnik is the feared leader of the Ukrainian Nazis in Lvov. Yet, the ending is probably the most awful and poignant part of the film. As the euphoria of saving the thirteen Jews is at its height, one learns how Poldek died and what was said at his funeral. It should leave anyone with decency sickened! Alas, it’s as unsurprising as it is shocking; a reflection of the profound levels of antisemitism in pre- and post-WWII Poland. But was Poldek not part of the same society? In Darkness sheds light on his personality and shows him to be a very different kind of hero to Oscar Schindler (played superbly by Liam Neeson in the brilliant 1993 film, Schindler’s List). Whilst Schindler was the dashing businessman who became horrified by the Nazis’ treatment of the Jews, Poldek was not handsome and was quite indifferent to the cruelty dished out by the Nazis. Indeed, director Agnieszka Holland (The Secret Garden, The Wire) reveals on numerous occasions during the film that Poldek was just an ordinary man doing his mundane job and held deep-rooted antisemitic views. It is not even clear why Poldek ends up hiding and saving the thirteen Jews. Is it because they pay him nicely, so he can afford jewellery for his wife, Wanda (Kinga Preis – The Dark House)? Is it because Poldek knows the unspeakable fate that awaits him and his family if he informs the authorities of the Jews? Or is it out of a sense of moral righteousness? Perhaps not even Poldek, himself, knew. Robert Wieckiewicz vividly captures Poldek’s constant vacillations, as well as his fear of being found out by the local Poles and the Nazis, both of which are always eager to turn in more Jews and their collaborators. They may be holed up in the dank sewers, but the Jews still manage to celebrate the festival of Hannukkah right under the noses of the Nazis. 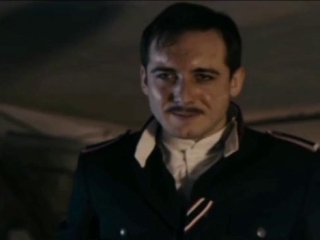 Although the cast play very well, Poldek, the people of Lvov and the Nazis are all given critical depictions throughout the movie. But what is more interesting is that Holland has not left the terrified Jews off the hook either. She shows them to be people who are grateful and ungrateful to Poldek; treacherous and edgy among themselves; plus lustful, amongst other things. Hence, In Darkness portrays the thirteen Jews as real people, feeling the pressures of their situation. Again, this is a stark contrast to the Jews in Schindler’s List and other Holocaust movies, like The Pianist or The Boy With The Striped Pyjamas, which depicts them as models of immaculate behaviour. Over-all, In Darkness is an exceptional but harrowing film. It not only enables us to understand the period, it forces us to experience the torment that the thirteen Jews in the sewers endured for fourteen months. Above-all, In Darkness points out why Poldek Socha should be immortalised among the Righteous Gentiles in Yad VaShem. Despite his antisemitic sentiments and morally dubious reasons for initially hiding the Jews, he showed himself to be a hero. Not a fashionable hero like Oscar Schindler, but one who was willing to stand up to evil and put his, and his family’s, life on the line to save innocent people. Amen!